The game hits early access on March 27. I've never built a full PC from scratch, but I feel like a right engineering genius every time I open a PC up and stick in some extra memory or a new graphics card. If you want to get that feeling without having to shell out for some expensive tech, or face all the dust that's been collecting since the last time you opened the case, then you might want to take a look at PC Building Simulator, a game that pretty much introduces itself. 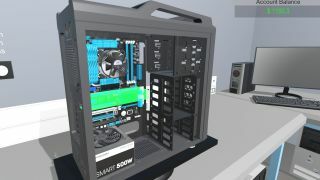 PC Building Simulator's early access will begin on March 27, but you can play the free prototype while you wait.